Pre-Registration will begin on August 22, 2016. Pre-Registration closes on November 1, 2016. 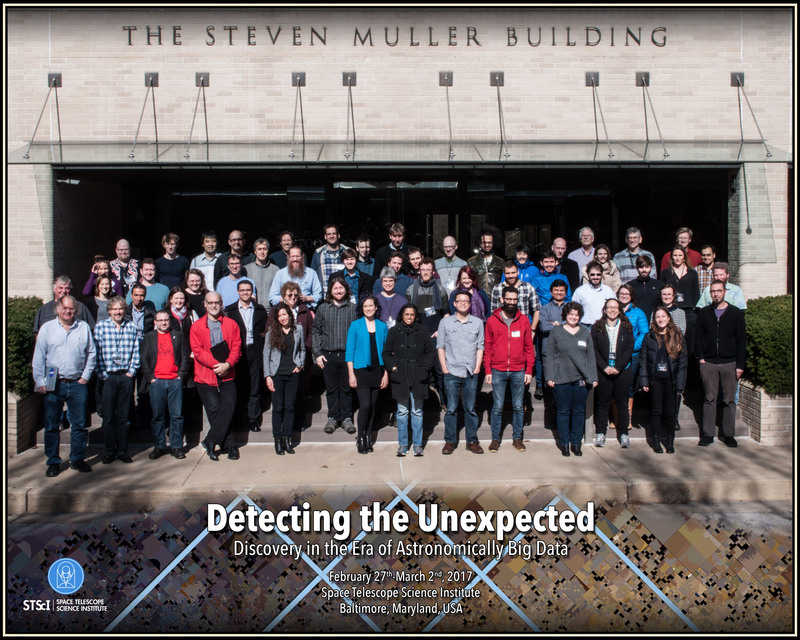 What tools do astronomers need to discover new classes of objects and complex trends in data sets too large to inspect by eye? This STScI workshop will explore this question in specific astronomical contexts and a with a range of tools. How can we find new events in the time domain, and make smart choices about follow-up in real time with limited resources? How can we find new features of our Galaxy in rich databases with more than spatial and kinematic information? What are the prospects for tools to explore the spectroscopic data sets of the present and future? We will focus on three kinds of discovery tools during the workshop: citizen science, machine learning, and data-integrated visualization. This will be a unorthodox, hands-on workshop. Attendees are invited to provide exploration tools and data sets in advance of the workshop, which will be integrated into a computing environment provided to all participants. We will have hands-on sessions where discovery tools are taught by experts. There will be “unconference" sessions during which attendees can propose their own discussion topics in break-out rooms. There will also be a full day "hack", for attendees to experiment with the presented tools on STScI and contributed data sets and build their own tools.